The Ontario Ministry of Agriculture, Food and Rural Affairs (OMAFRA) has released its report on 2017 farm receipts and commodities in Eastern and East-Central Ontario, and it shows that the United Counties of Leeds & Grenville [UCLG] is still an important provider of the province’s dairy products. The Report also gives a fascinating snapshot of the status of farming in the United Counties, which has 1,032 farms earning a total of $121 million from their operations in 2017. Of this, almost half, $55.03 million came from the dairy sector, the third highest revenue from that sector in the fourteen counties covered by the report. (Only Stormont, Dundas and Glengarry, and Prescott-Russell earned more). The other top-earning commodities in the UCLG were soybeans ($15.76 million) and Corn ($12.4 million). Historically, the UCLG have been a major supplier of milk, cheese and butter over the last 150 years, and milk production in the Grenville District has remained relatively constant over the past decade, with 23,130 kilolitres produced in 2007, compared to 28,018 kilolitres in 2017, showing a very gradual increase over time. This positive statistic is not, however, matched by the overall picture for agriculture in the area. The area under farming has been steadily decreasing over the same decade. In 1991, 343,460 acres were being farmed in the United Counties, and that has gone down, year by year, so that by 2016 only 276,123 acres were being farmed. Even so, the farming sector has seen very high levels of investment in farming over those years. In 2017, the total amount invested in farm capital in UCLG farms was $1,267.5 million. Farming is not a cheap vocation, and the human investment matches the financial one. According to OMAFRA’s report, there are 1,032 farms in UCLG, the fifth highest number for the fourteen counties studied in the report. Of these, almost half are single-operator businesses, with a total of 1,495 people operating these agri-businesses in all. Only 19% of these farms are rented from landowners, the rest are owner-operated. The Ontario average is around 29%. Renters pay an average of $45 per acre, compared to the provincial average of $149 per acre. This in itself is quite an increase from the $89 average in 2011. The OMAFRA report is a timely reminder that the majority of people living in the United Counties live in rural areas. 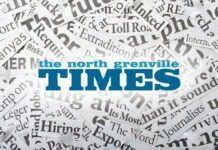 That farming of all kinds remains a significant factor in the area economy, and that the lack of a Rural Affairs, or Agriculture Committee of Council in North Grenville needs to be addressed urgently by the incoming Council.